he's ready to step beyond childhood. 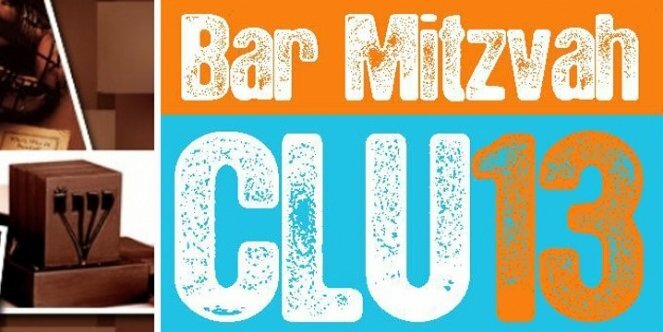 NOW is the time to join THE BAR MITZVAH CLUB! boys (grades 6 & 7) who are approaching or who have just celebrated that very special time in their lives. Bar Mitzvah is not a “performance”or a time to be nervous about chanting and speaking in public and memorizing lines! Rather it is a celebration of a child's growth and discovery. A time to recognize what it means to be a Jewish "adult" and the responsibilities we have to ourselves, our people and the world. The Bar Mitzvah Club provides insight and understandingthat go beyond Hebrew School basics that will help you better prepare for the Bar Mitzvah. Members enjoy a combination of learning and funthrough regular meetings, interactive discussions groups on various Jewish topics, activities, projects and involvement in the Jewish community. You will learn the deeper meaning of becoming a Bar Mitzvah and about life as a Jew after the party. Hopefully, the process is a meaningful one, and we hope that the Bar Mitzvah boy wants to assimilate these ideas into his mindset. These meetings serve as both a wrap-up and an encouragement forcontinuous involvement, a better understanding of the Torah & Mitzvot, Jewish leaders, the Mitzvot connected to Bar Mitzvah - Tefillin, Talit and Aliyah (being called up to the Torah) and Ahavat Yisroel (love and responsibility to others). Ignite a love and pride in your Judaism and help define who you are as Jew. beginning of a Jewish future, not the end!